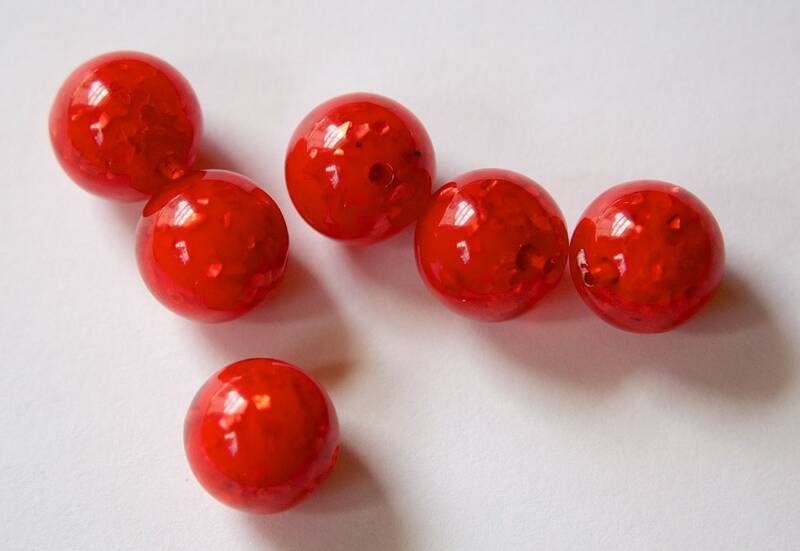 These are vintage lucite beads. 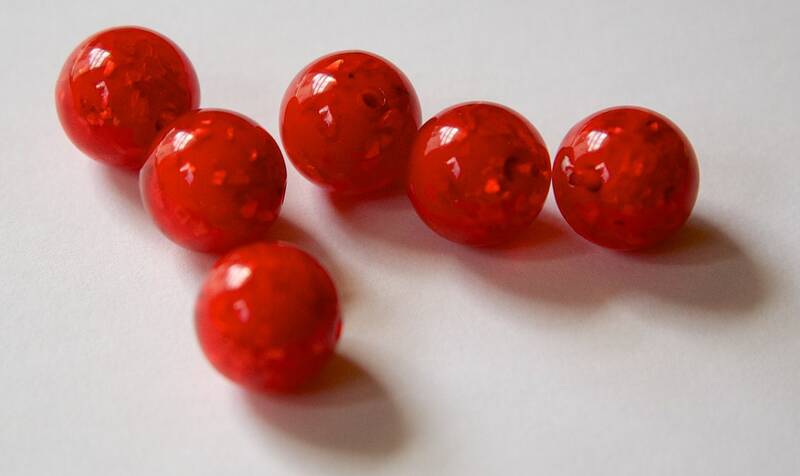 The bead is a reddish orange color with little glitter size pieces of Mother of Pearl floating throughout. These measure 12mm. You will receive 6 pieces. Nice beads, swift delivery and very good customer service. I'll be back to shop again. Thank you.